One of my bedroom light shades broke, and it's been annoying me, it's a shames, as I love them. So, I've searched everywhere to find the matching lampshade, but to no avail. 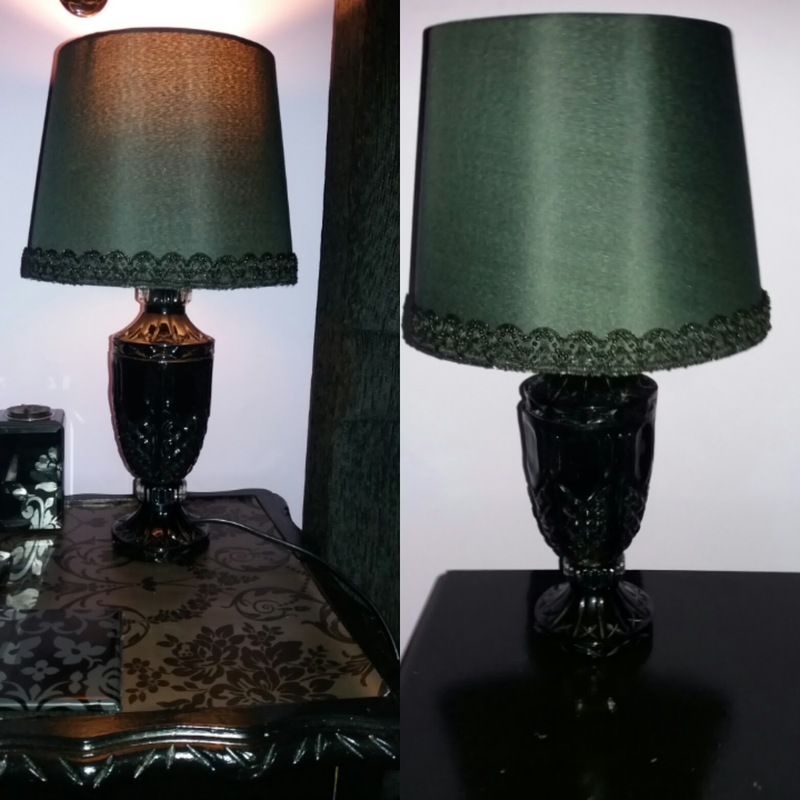 I purchased two small lampshades from Wilko's for £3 each, their not quite what I wanted but will suffice. 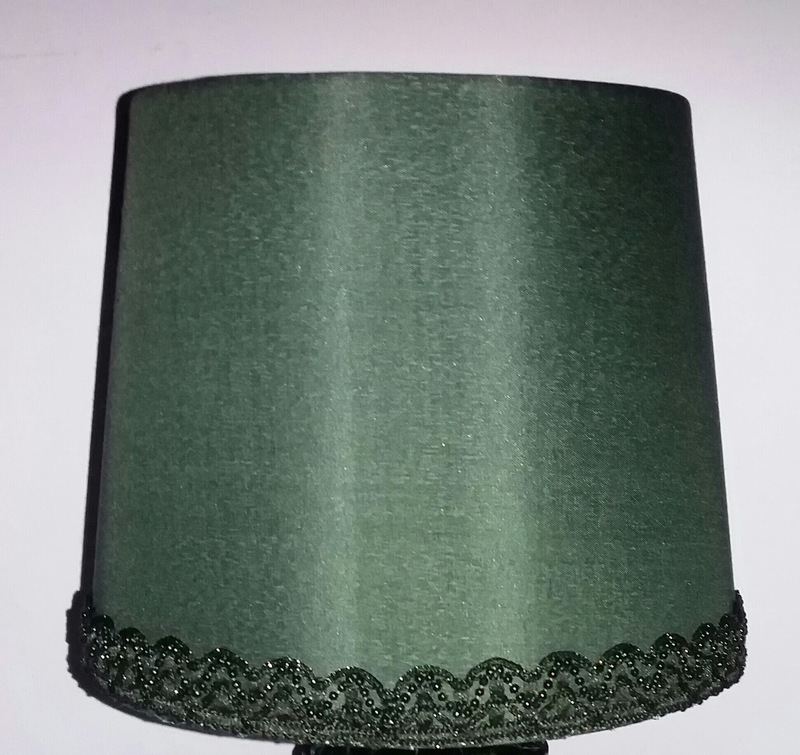 I struggled to find lampshades to fit my lamps, particularly in black. I like the fabric's sheen but felt it was bland. 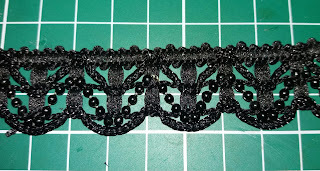 I decorated them using one black beaded lace to add a bit of interest. I used a glue gun to stick the trim to the edge of the shade this was easy to do but a bit fiddly. 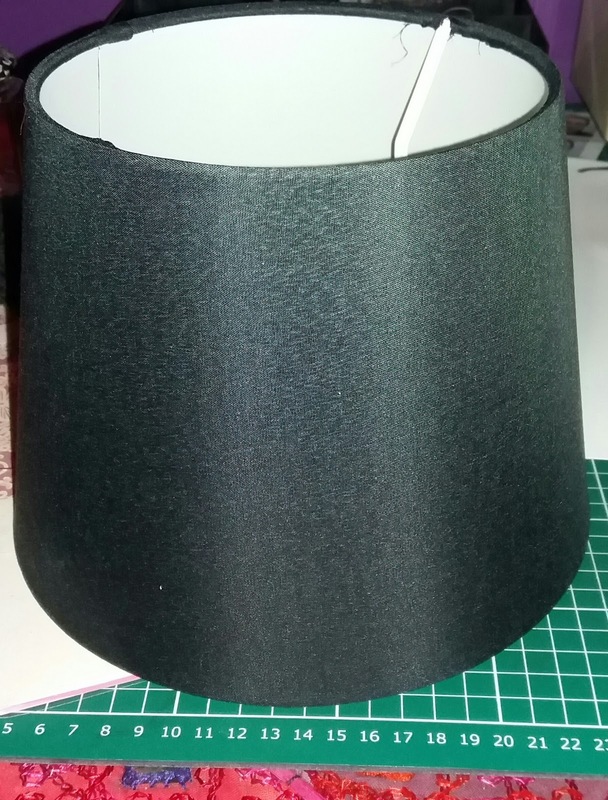 I took my time by glueing a small bit down at a time, I needed to work quickly since the glue dries fast and so, I could adjust the fabric in place to align on the edge of the shade. Be careful as I burnt my fingers serval times. I would recommend starting from the seam of the shade, as it was easier to hide the seam of the trim. This is the finished result I love them. P.S If you're looking for a glue gun. I purchased this one from Asda for £6 and refills are only 60p. This is great for paper, fabric crafts and other small craft projects but not suitbale for jewellery making or glass. It's a handy tool for any crafter. So cute! I have a diy gothy lamp project in mind for the future. I might try this on the shade. Thanks that nice of you to say so.I can't wait to see your lamp projects in the future. These are wonderful, simple yet so elegant! 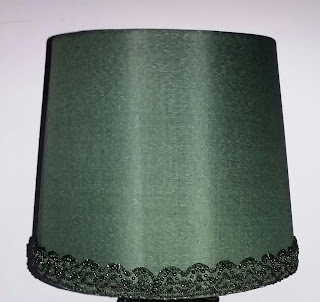 I love the actual lamps themselves as well! Thnks it was an easy project to do and fun, I found the lamps on gum tree last year. I love them I would rather find new lamp shAdès than lamps. I lost my glue gun. Gotta get another one. Well done!! You are so crafty! 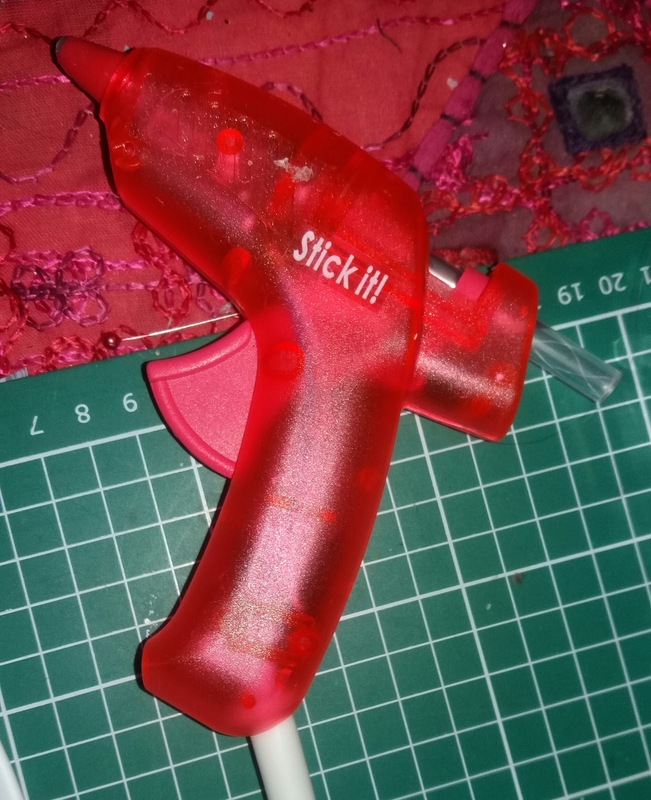 You are right, burning your fingers is easy with glue guns!!!! Big Hugs! So pretty! I love the beaded lace trim. Thanks. I fell in love with the and I purchased a lot of it and I have no idea what to do with it. I tend to stock up on trim. Thank you. 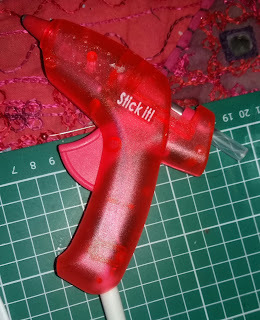 I love my glue gun it such a handy little tool and I can't live without it. 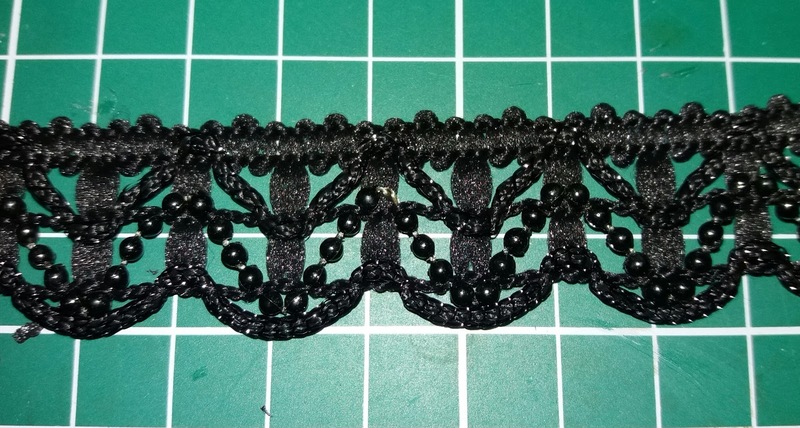 Beautiful shades, I just love that lace! Thanks you that very sweet. I never found anything like this before, hence the reason for purchasing so much lol. 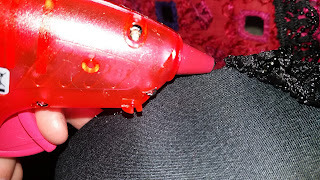 Thanks you I never knew what I was missing until I got my glue gun.